CAN030 is the final in our spray can series. 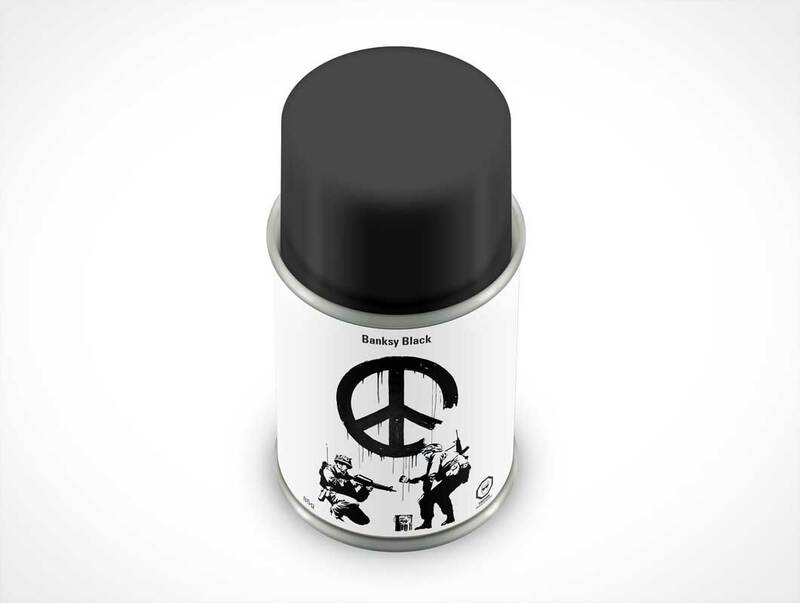 This PSD Mockup renders your early stage sketches or finalized can design onto an 85g (3oz) spray can with plastic cap (non-removable in this composition). The design is made to look like it is printed on the paper label which surrounds the body of the can. The can itself is rendered to mimic a steel product, only the cap is made of plastic. The background is fully transparent allowing for a custom background scene to be dropped into position. Shadows and highlight effects are provided on individual layers and may be toggle off or decreased in intensity to suit your own needs.